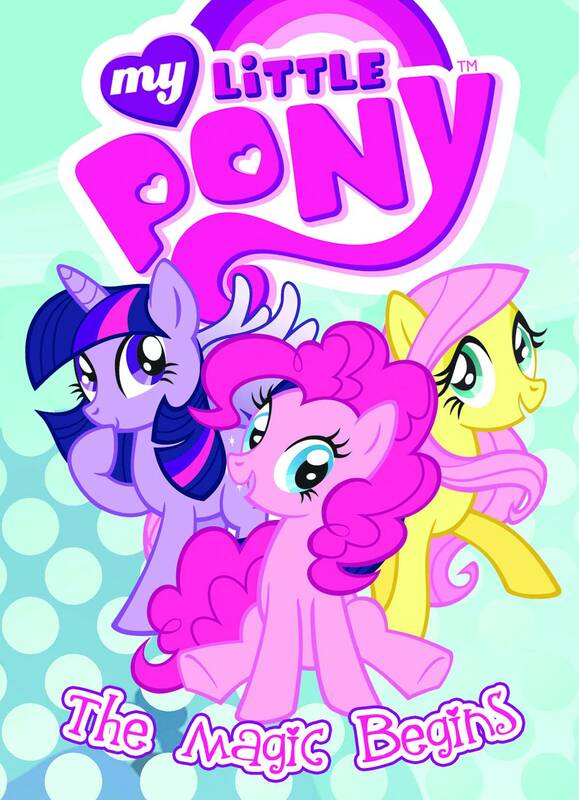 Having made waves and conquered new worlds with their wildly-successful new-storyline comic book series My Little Pony: Friendship is Magic, IDW now turn their eyes on a more obvious task: Adapting the TV series to comic books. Witness My Little Pony: The Magic Begins, coming in full color this September. Using a combination of screen-grabs and original artwork, this 112-page trade paperback tells the story of our hero-fillies from Ponyville, just as they came to us in the first-season episodes (as created by Lauren Faust, of course!). Amazon is already taking pre-orders.